AJOUTEZ NOUS À VOS FAVORIS ET SOYEZ INFORMÉS DES PROMOTIONS. 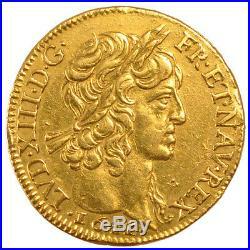 [#57389] FRANCE, Louis d'or, Louis D'or, 1641, Paris, KM #104, Gold, Gadoury. Laureate head with long curl. There are no exceptions to this rule. All items are unconditionally guaranteed to be authentic and checked by at least two numismatic experts. Certificate of Authenticity upon request. The pictured item is the one you will receive. 7 numismatic shops in France. Headoffice : 7 Rue Nationale (4th floor), 59000, LILLE (FRANCE). Coins, Tokens, Medals, Banknotes, Militaria, Numismatic supplies. 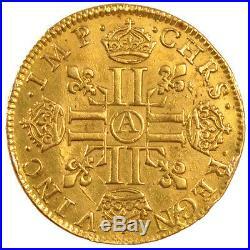 The item "#57389 FRANCE, Louis d'or, Louis D'or, 1641, Paris, KM #104, Gold, Gadoury" is in sale since Tuesday, April 23, 2013. This item is in the category "Coins & Paper Money\Coins\ World\Europe\France". The seller is "cdma59" and is located in Lille. This item can be shipped worldwide.